Among all the changes those in charge of Formula 1 wish to bring, one of the key directives was to make the cars more aggressive and attractive. In short, F1 cars have to look cool. Beauty is in the eye of the beholder, of course, but that hasn’t stopped some designers from taking a crack at it. 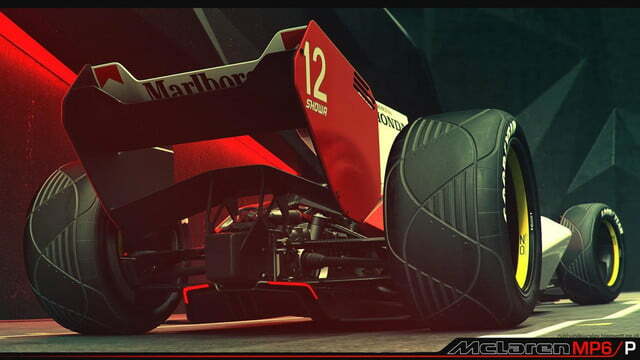 Much in the vein of the proposal that Ferrari put forth, graphic designer Nathan Dearsley has whipped up his own futuristic McLaren F1 racer. Dubbed the MP6/P, the futuristically angular race car is a possible vision of what’s to come, while still getting back to what made the sport great in the past. Dearsley has provided his own narrative backstory for the car as well. 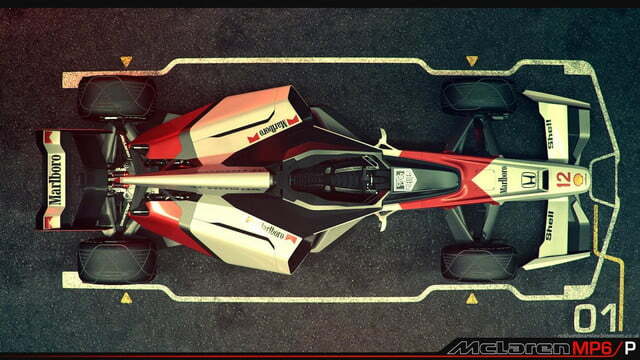 In it, he states that this is a car designed for the 2056 Gran Prix season and that McLaren is still (I will say inexplicably) using Honda-sourced power plants. Let’s hope the hybrid-electric power plants of the future work a little better than the ones Honda is currently supplying. 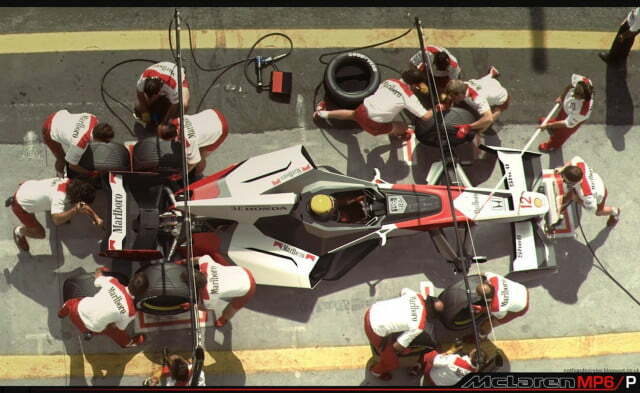 The MP6/P also wears a throwback livery sported by the MP4/4 racers that were piloted by Ayrton Senna and Alain Prost in the 1988 season. With cancer eliminated by 2056, it’s apparently okay for tobacco companies to transparently advertise on cars again. Its design is “purposefully primitive” and designed to “punch a non-turbulent flow of air out of the rear.” Dearsley says that the flip-side is that the car is unpredictable in heavy braking and overtaking maneuvers, which is for the benefit and delight of spectators. This is all very much an exercise in fantasy of course, which makes it all the more fun. In fact, Dearsley’s description of the car sounds a lot like what F1 bosses want: Flashy cars, and exciting, unpredictable racing. We can’t know what F1 will look like that far into the future, of course, but we hope it looks this cool sooner rather than later.